The 400 Block was sold by Walter McIndoe in 1853 for $100. The first building built on the 400 Block was the second county courthouse. 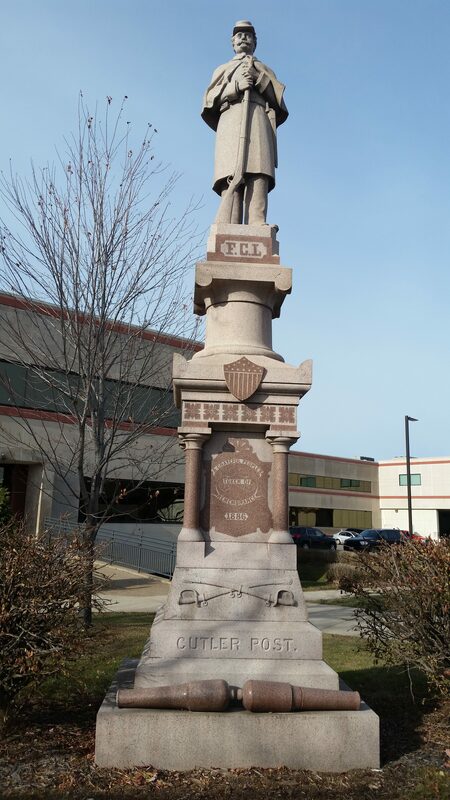 This replaced the 1851 County Clerk’s Office. 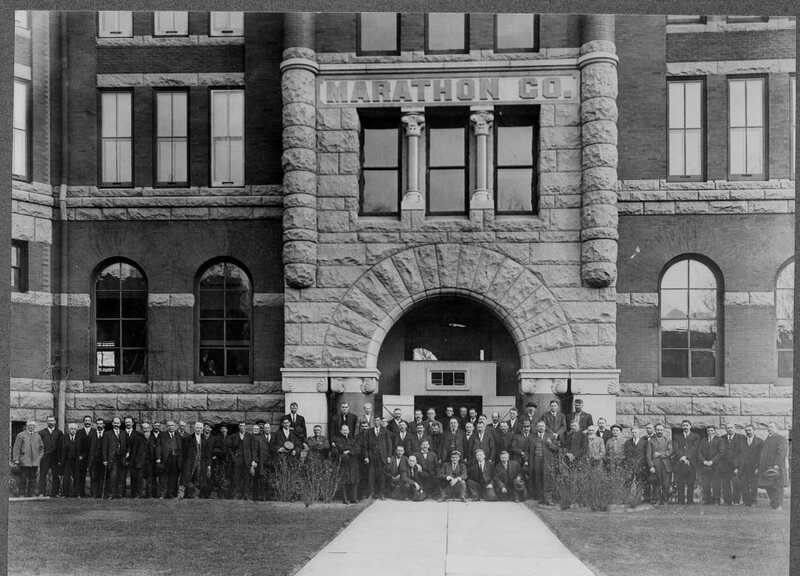 The second courthouse was increasingly not large enough to handle the county’s growing population, so it was razed. The third courthouse was built in 1868. It was a two-story Greek Revival frame structure and had a courtroom (unlike the others). 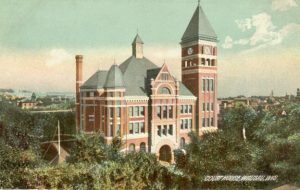 In 1892, the third courthouse was torn down. The fourth courthouse was built in 1892. Designed by H.C. Koch in Milwaukee, this large Richardson Romanesque style courthouse was built for $65,000. 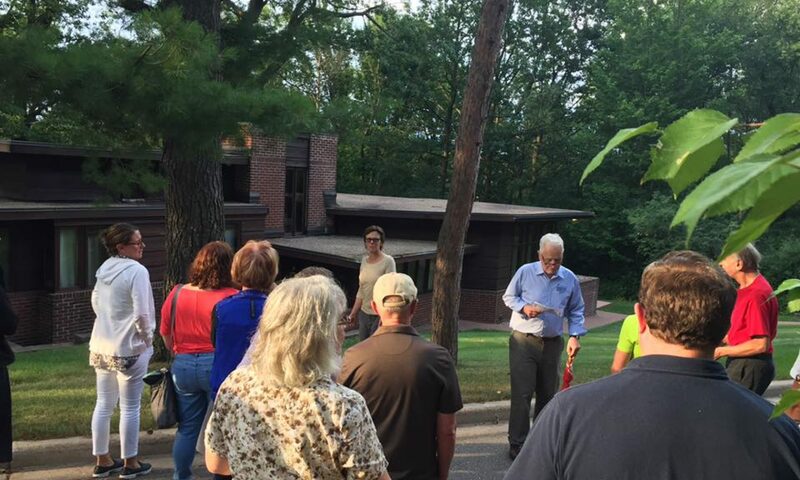 The contractor John Miller used Marathon County brick and granite to build it. 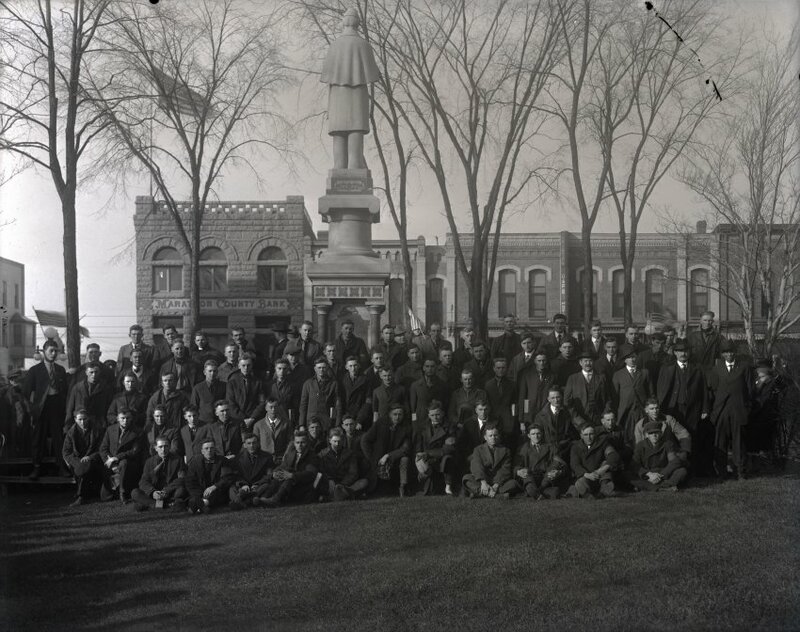 Judge Louis Marchetti wrote that it “far surpasses anything previously done in that line in former years.” The 1892 courthouse hosted the funeral of the Wausau Group leader, Neal Brown, in 1917. Civil War – The left picture shows the Statue on the 400 Block. It currently sits on the Southeast corner of the Marathon County Courthouse. 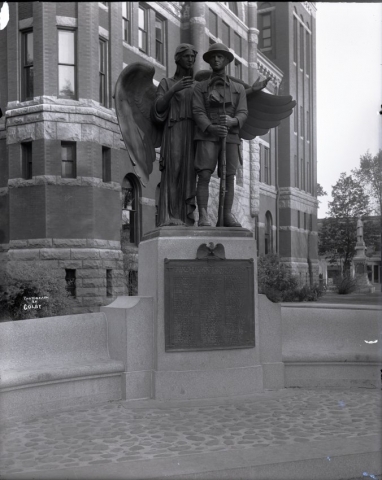 World War One – The left picture shows the Statue on the 400 Block. 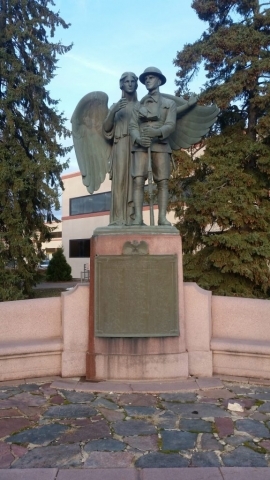 It is currently located at the Southwest corner of the Marathon County Courthouse. 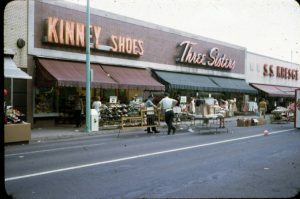 The Richardson Romanesque Courthouse was demolished in 1955 to make room for the retail stores JC Penney, Kinney Shoes, Three Sisters, and S.S. Kresge. The Tea Shop, Eastbay, and other stores replaced some of the original stores. 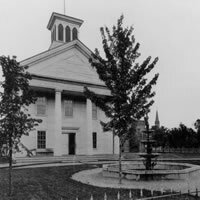 By 1996, all of the stores had left their buildings, prompting the creation of the Courthouse Square Committee that same year. 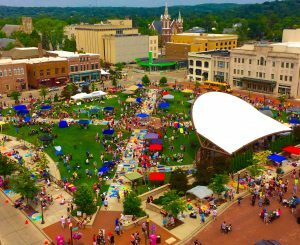 In 1998, the newly acquired 400 Block was designated as a public open square by the City of Wausau. The square was cleared of buildings and opened as a park in 2002. Public concerts on this square became common, and quite popular, so the City of Wausau constructed a band shell in 2011. Along with the band shell came a lighted water fountain and a seating area with tables and chairs. 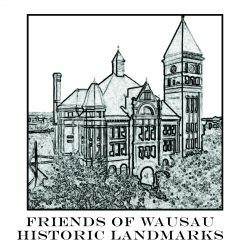 $1 million of the total $1.2 million construction cost was donated, and the other $200,000 was provided by the City of Wausau. The 400 Block is currently home to a variety of events, such as Concerts on the Square, Chalkfest, Marketplace Thursdays, ice skating and many other events.